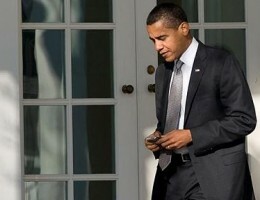 My Friend is Sexting Barack Obama, and He Sexts Back! By Kaylie, Special to the Brutal Times, BOSTON – My friend Jessie is sexting Barack Obama – and he sexts her back!!! They met online and now everyone around me is pooping their pants cause the gossip is so good! Jessie is one of my offline friends so it’s a shock that she met Barack online. I honestly didn’t even know if she had an FaceBook account until another friend who I know from online Fluffered me that Jessie san had been Facing Barack for months!!! Oh my god I pooped my pants!!! Jessie is so outgoing likes campfires and the president. I don’t think she voted though. Jessie’s dad Brad has casks of Edgar Allan Poe wine and we get stoned off it when he goes out. Yeah – Jessie she’s sexting… Barack Obama, that’s who!!! Whoopie oh my god!!! This entry was posted in Presidential Daily Brief and tagged barack obama, boston, campfires, edgar allan poe, facebook, fluffer, gossip, online, sexting, teens, the brutal times. Bookmark the permalink. 2 Responses to My Friend is Sexting Barack Obama, and He Sexts Back! what…a total load…of bullcrap. kaylie, come on – you can do better than this.